Pinnacle Computer Repair was formerly AB Strategic Tech before being sold to Pinnacle. 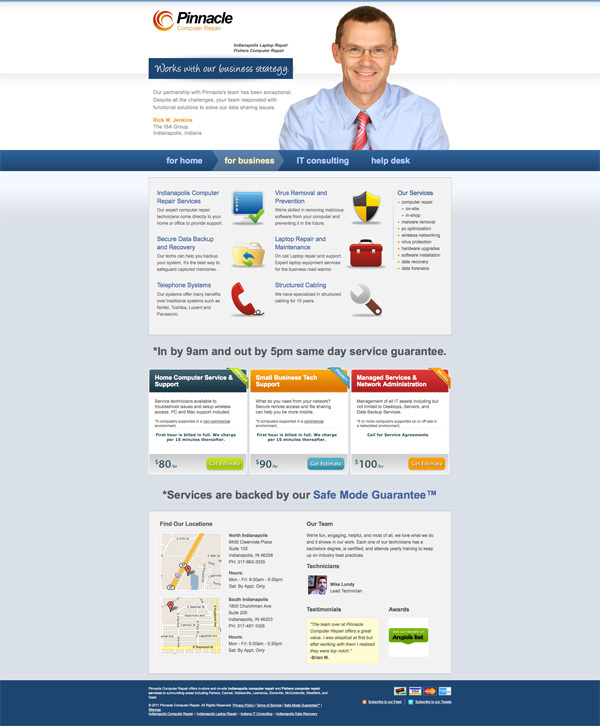 The theme was originally created for my computer business. It performed very well in local search engine rankings. My objective with the design was to eliminate the geek of asking for computer help. Most of our phone calls came from two demographics. Women during the day and business users with laptops that contained mission critical data. The site was tailored to be inviting for both groups.